What makes El Pedro's tick and the people behind it. 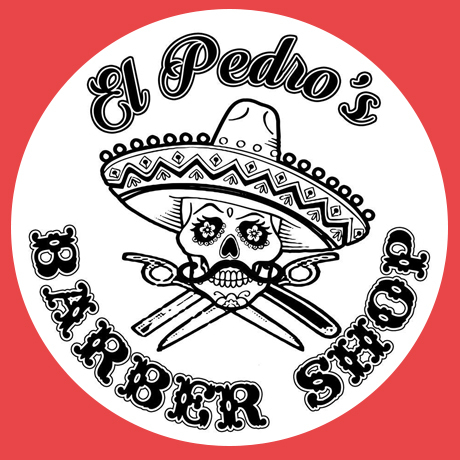 Sam is one of the founders of El Pedro's and he cuts and shaves with the best of em. Jack is one of the founders of El Pedro's and stands along Sam every day. 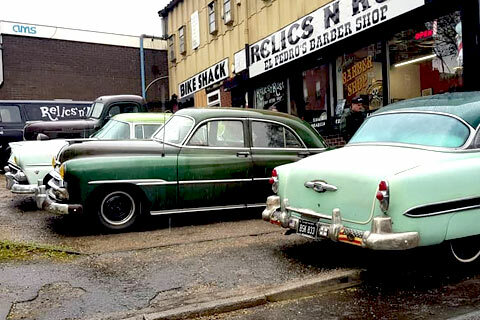 Not just an ordinary Barber Shop. 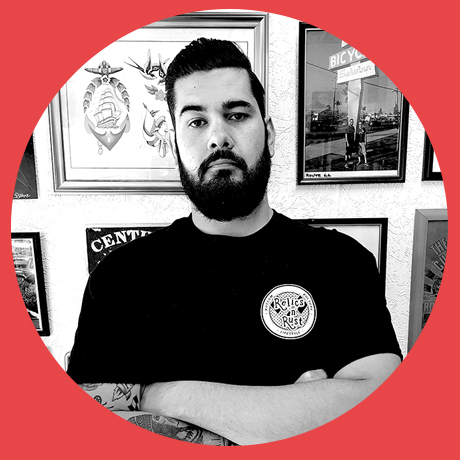 Initially when we were creating ideas for the new lifestyle store we knew that the major focal point and hub would be the El Pedro’s Barber Shop, we had looked at various models but nothing really blew us away with ideas, our main inspirations would come from our travels around Southern California checking out some of the hottest Barber Shops around LA and Orange Counties…. we were truly inspired by the passion, energy and atmosphere that was being generated creating a relaxed social environment with a strong commitment and emphasis to customer service. 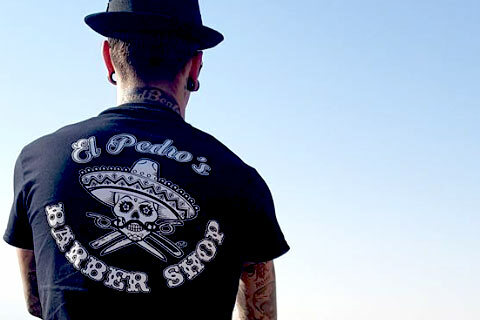 El Pedro’s barber shop is a personal reflection of our passion, the stuff we like and our lifestyle, everything on the walls as been collected over many years because we love it and it looks great and creates a atmosphere. 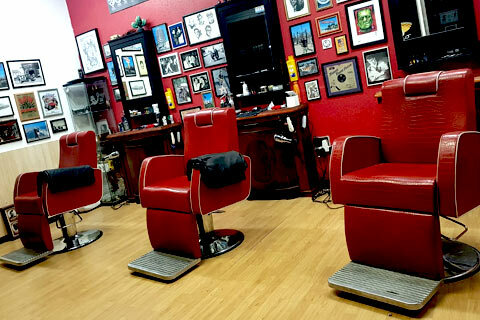 We have created a place were guys can come hangout, socialise grab a beer or coffee while awaiting a traditional hot towel shave or hair cut in a kool relaxed environment. We pride ourselves in the service we give to our customers and that is why with every hair cut we shave around the hair line with a straight razor, apply some Bay Rum after shave and style with high quality pomades. Using old school razors and done with expertise to ensure the best shave you'll ever have. The perfect way to top off a hair cut. 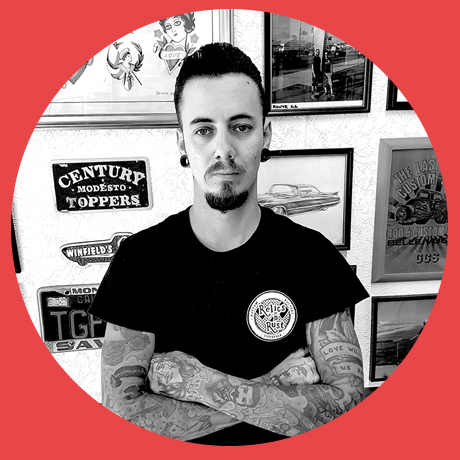 Short back and sides, a trim, or something a bit more edgy - We'll take care of it! Hair and beard - sorted.